Titanic was the biggest and most luxurious passenger ship of its time. 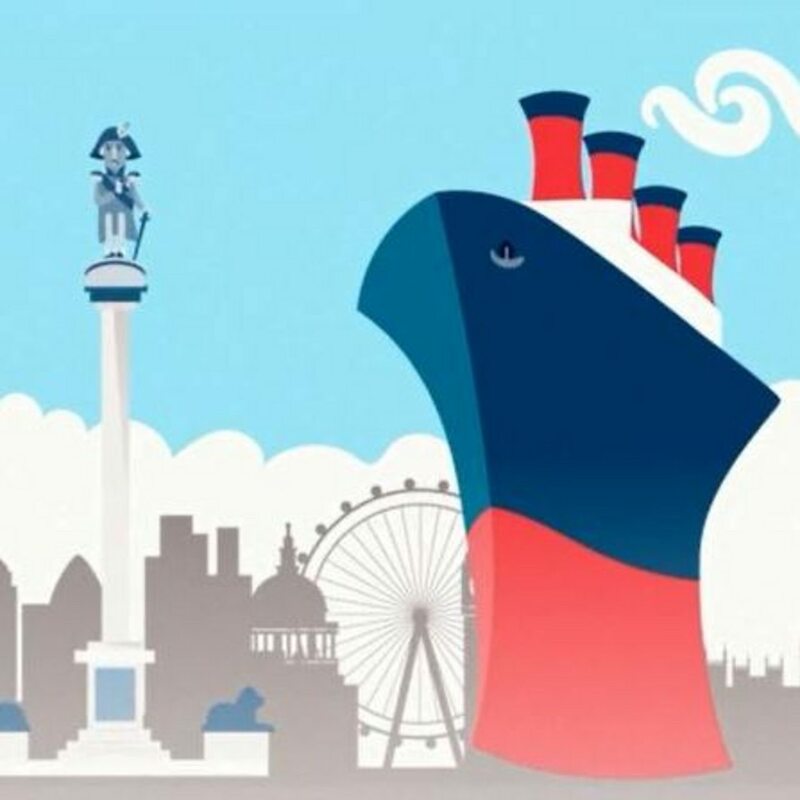 It was 269 metres long, 28 metres wide and more than 53 meters tall, which is the same height as Nelson's Column in London and Belfast City Hall. It had ten decks, three engines and its furnaces burnt through over 600 tonnes of coal. 175 'firemen' shovelled the coal by hand and worked in shifts 24 hours a day. Although Titanic had four funnels, only three were functional - the fourth one was just for show. Titanic's full title was RMS Titanic as it was a Royal Mail ship carrying nearly 3500 sacks of mail including all sorts of letters and packages. Find out the science and engineering behind how Titanic was built. How did big ships like Titanic float? Titanic's construction cost was £1.5 million, which is around £170 million in today's money. It took around three years to build. The wages of those on board varied greatly depending on position - Captain Smith earned £105 per month (about £11,000 today) whereas a stewardess earned £3 10 shillings per month (around £375 today). There were 2200 people on board Titanic on its maiden voyage. 1300 passengers and 900 crew. The ship wasn't full and could have had another 1100 people on board. Titanic was a luxurious ship and tickets were expensive. 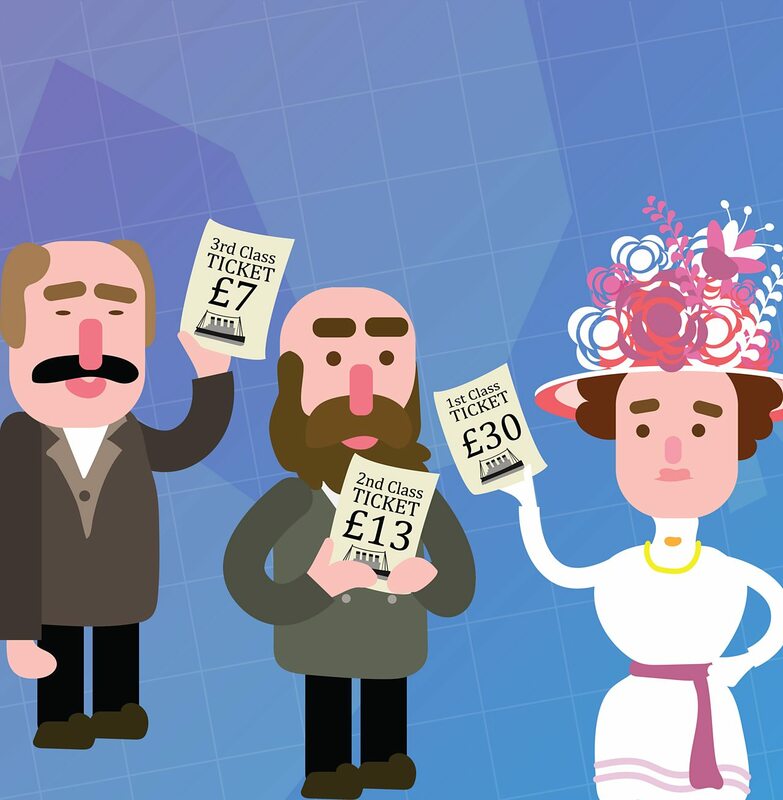 A third class ticket cost around £7 in 1912 which is nearly £800 in today's money. A second class ticket cost around £13 or nearly £1500 today and a first class ticket would have set you back a minimum of £30 or more than £3300 today.